I read this exquisite piece of insider history, Propaganda Redux from last Tuesday's Opinion Journal, this morning because it was nominated by one of the Watcher's Council as one of the week's best pieces of writing on the Internet. It probably is. 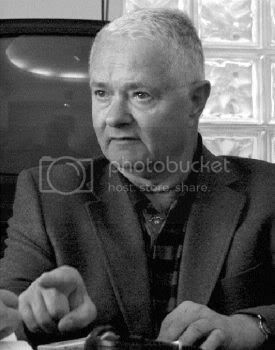 Lt. Gen. Pacepa, a Romanian, remains the highest ranking Soviet Bloc intelligence officer to ever defect to the U.S. His career spanned almost the entire Cold War, and he was a part of the propaganda machine that sought, with considerable success, to turn the world and the American Left against America. I am not going to do the blog-usual paragraph by paragraph presentation of someone's work with comment; this piece is too important. Instead, I'll give you two paragraphs that will help you see why I feel this way. These paragraphs recount history from early in Pacepa's career and the column goes right up the rug with President Bush's face on it that visitors must step on to enter Howard Dean's office. Dean has bought the Soviet lie. Read the piece if you haven't already.